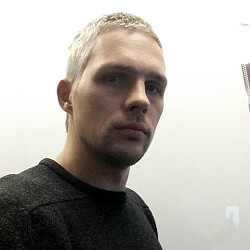 DriverScanner is the PUP that uses misleading techniques to prevent removal. Use Reimage to locate malicious components and get rid of them faster than with uninstall instructions. A full system scan blocks virus reappearance and prevents traffic to malicious domains. How can DriverScanner hijack my computer? DriverScanner. Should I remove it? DriverScanner is one of the several programs that is offered by Uniblue Systems Ltd company. It has been presenting programs for almost ten years, and the most of them are driver scanners. 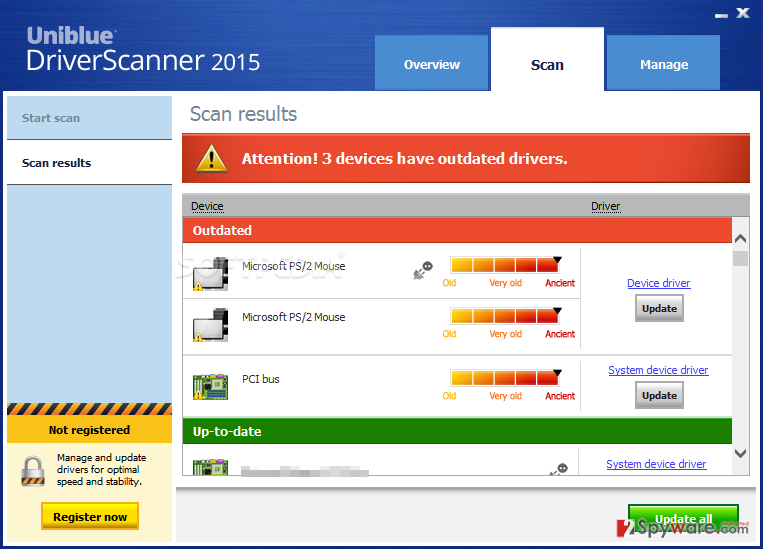 Uniblue DriverScanner 2015 is the latest version of driver scanner tools, which typically offers people to scan the system and look for outdated device drivers with an intention to speed up the computer. Of course, you may buy this application from the official website uniblue(dot)com; however, you should think twice before doing that because it seems that this driver scanner can hardly increase your PC’s performance. In fact, DriverScanner by Uniblue may be classified as a potentially unwanted program (PUP) because its trial version has been distributed bundled with various freeware. Besides, once installed on the system, it may try to convince you that the only way to improve your PC’s speed is to buy its license. For that, it may initiate continuous system scans and deliver questionable scan results, which may consist of randomly chosen drivers installed on your PC. Once you click “Update all” button, you may be redirected to the official website of this program and asked to buy a licensed version of DriverScanner. We highly recommend you NOT to buy this license since the program can hardly increase your PC’s performance. Even more, there are hundreds of free tools that can be used for the same task. If this program has shown up on your computer without your permission asked (with the help of bundling), we highly recommend you to remove DriverScanner virus from the system. As we have already mentioned, Uniblue DriverScanner claims to be a powerful tool for updating outdated drivers and increasing your PC’s performance. 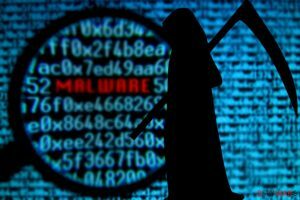 Unfortunately, security experts have already categorized it as a potentially unwanted program and have been recommending people not to use it. Also, it has been commonly distributed via other freeware and shareware as an optional component. One of such free apps is Open Candy, so if you want to avoid Driver Scanner, make sure you carefully monitor installation of this program. To prevent DriverScanner alerts and scans, you should carefully check every freeware before installing it. Whenever you decide to install a free program, make sure that you select Advanced or Custom installation and look for ‘optional downloads’ carefully. DriverScanner may be presented as a useful tool offering “a free system scan to locate outdated device drivers which may be causing system instability.” Do not fall for such promises and make sure that you unmark a tick that notifies your consent to install this dubious app. If you want to uninstall DriverScanner from your computer, you should check the guide, which is given on the second page of this article. C:\Program files\Uniblue\driver scanner\unins000.msg” is missing. If you are Windows 10/Windows 8 user, then right-click in the lower left corner of the screen. Once ‘Quick Access Menu’ shows up, select ‘Control Panel’ and ‘Uninstall a Program’. This entry was posted on 2016-04-28 at 01:15 and is filed under System tools, Viruses. You can quickly scan the QR code with your mobile device and have DriverScanner manual removal instructions right in your pocket. How did you remove DriverScanner?